Joe Lefeged came in for Bethea at safety and played well. He looks like a good bet to make the team as a reserve. Jacob Lacey and Jerraud Powers look to be in mid season form already. I think we will be set at corner if everyone stays healthy. Eric Foster looks even smaller this year when you see the big new guys at DT. He might be a long-shot to make the team this year. Drake Nevis continues to get a lot of playing time with the starters. It doesn't look like he will need a few years to develop like some other DTs we have had lately. 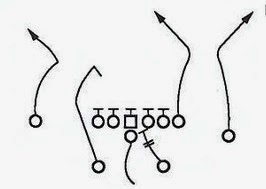 We look to have some DTs who can actually get some push up the middle. As amazing as Freeney has looked in his career, he has done it all without help from the inside guys. It would be nice if there wasn't always somewhere for the opposing QBs to step up to avoid Freeney's speed rush. The starting offense was ridiculous. They looked like they came in with a gameplan where the main goal was to just go through the motions. Lots of swing passes, screens, and dump offs. It did not look like Painter's fault; he was just executing what was called. Someone might be asking Pat McAfee to pee in a cup. He has seriously transformed his body this year. The run defense looked pretty bad, but that was just because of all the players being moved around. The first game of the season we will be vulnerable also. I always see lots of run fit errors in the first couple of games of the year. Curtis Painter stands in the pocket well even though he is only 6'2" or so.